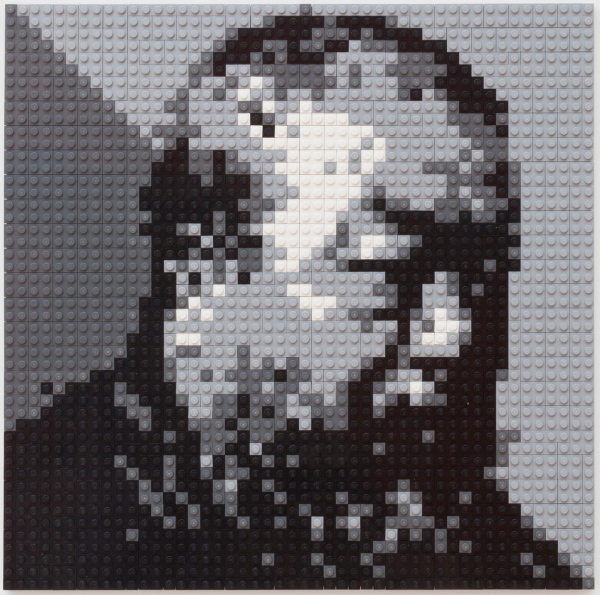 LEGO Collection Point is part of artist Ai Weiwei’s ongoing efforts to challenge censorship. As one of China’s most provocative contemporary artists, Ai (born 1957) focuses on social and political concerns, consistently advocating for freedom of expression and utilizing the power of social media to make art and connect with the world at large. On October 23, Ai posted on Instagram: “In September LEGO refused Ai Weiwei Studio's request for a bulk order of LEGOs to create artwork to be shown at the National Gallery of Victoria as they 'cannot approve the use of LEGOs for political works’.” Ai’s post triggered a flood of responses on social media criticizing LEGO for “censorship and discrimination.” Thousands of anonymous supporters offered to donate their used LEGOs to Ai. In response to the overwhelming inquiries, Ai posted on Instagram that he would “make a new work to defend freedom of speech and ‘political art’” using donated LEGOs. Within days, major museums around the world established collection points including the National Gallery of Victoria, Melbourne; Martin-Gropius Bau, Berlin; Royal Academy, London; Kunsthal Charlottenberg, Copenhagen; and Contemporary Art Center, Málaga, Spain. The Brooklyn Museum is the first collection point in the United States. LEGO donations can be placed in the sunroof of the car parked in front of the Museum during our open hours. Donations can also be made by mail to Brooklyn Museum, 200 Eastern Parkway, Brooklyn, New York, 11238 (please mark packages c/o AWW LEGO Collection).